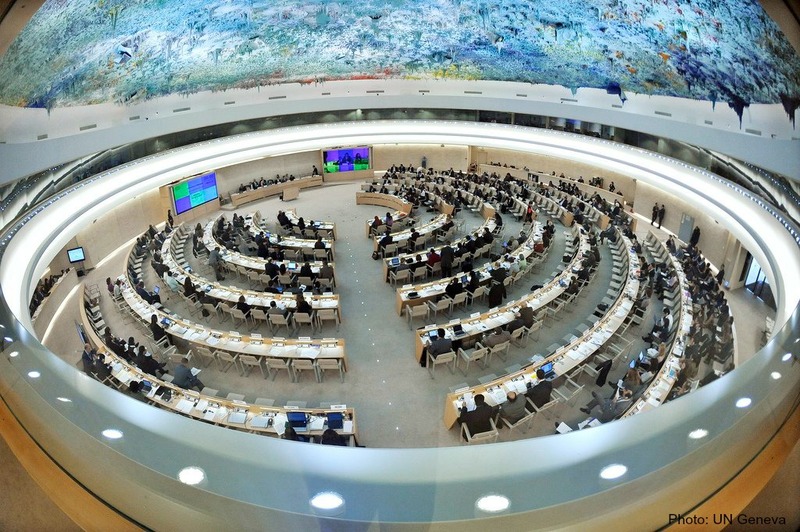 In a defining vote, the United Nations Human Rights Council adopted a resolution on “Protection against violence and discrimination based on sexual orientation, and gender identity”, to mandate the appointment of an Independent Expert on the subject. It is a historic victory for the human rights of all persons who are at risk of discrimination and violence because of their sexual orientation or gender identity, 28 human rights groups said today. This resolution builds upon two previous resolutions, adopted by the Council in 2011 and 2014. The Core Group of seven Latin American countries – Argentina, Brazil, Chile, Colombia, Costa Rica, Mexico, Uruguay – and 41 additional countries jointly presented the text. The resolution was adopted by a vote of 23 in favor, 18 against and 6 abstentions. “This is truly momentous,” said Micah Grzywnowicz from the Swedish Federation for LGBTQ Rights, RFSL. “This is our opportunity to bring international attention to specific violations and challenges faced by transgender and gender non-conforming persons in all regions. It’s time for international community to take responsibility to ensure that persons at risk of violence and discrimination because of gender identity are not left behind”. “It’s an historic resolution”, added Josefina Valencia from International LGBTI Association for Latin America and the Caribbean, ILGA LAC. “Latin America has played a very important role to build a common course for the advancement of our human rights. We are proud of the international solidarity and the commitment shown by States for equality”. The positive vote responds to a joint campaign of a record 628 nongovernmental organizations from 151 countries calling on the Council to adopt the resolution and create the SOGI Independent Expert. ”It is important to note that around 70% of the organizations are from the global south”, said Yahia Zaidi of MantiQitna Network. “This is a powerful cross regional message of strength to the United Nations to protect the rights of LGBTI persons. The Independent Expert will be a focal point for all violations based on SOGI and hence help grassroots organizations to better utilize the otherwise complex labyrinth of the UN system”. The Expert will be tasked with assessing implementation of existing international human rights law, identifying best practices and gaps, raising awareness of violence and discrimination based on sexual orientation and gender identity, engaging in dialogue and consultation with States and other stakeholders, and facilitating provision of advisory services, technical assistance, capacity-building and cooperation to help address violence and discrimination on these grounds. “To have an Independent Expert can be a ‘game-changer’ in counter-acting violence which fuels the HIV epidemic in key populations and more specifically in LGBT communities”, said Alain Kra of Espace Confiance. “It will ease the work of all human rights defenders and it is essential for our governments and people to have the knowledge on how to protect LGBT communities from any violence and discrimination they face”, added Joleen Mataele of the Tonga Leiti’s Association. Although a number of hostile amendments seeking to introduce notions of cultural relativism were adopted into the text by vote, the core of the resolution affirming the universal nature of international human rights law stood firm. We hope that this resolution will mark a turning point in the struggle to create a world free from violence and discrimination for all people regardless of sexual orientation and gender identity. Albania, Belgium, Bolivia, Cuba, Ecuador, El Salvador, France, Georgia, Germany, Latvia, Macedonia, Mexico, Mongolia, Netherlands, Panama, Paraguay, Portugal, Republic of Korea, Slovenia, Switzerland, UK, Venezuela, Viet Nam. Algeria, Bangladesh, Burundi, China, Congo, Cote d’Ivoire, Ethiopia, Indonesia, Kenya, Kyrgyzstan, Maldives, Morocco, Nigeria, Qatar, Russia, Saudi Arabia, Togo, United Arab Emirates. Botswana, Ghana, India, Namibia, Philippines, South Africa.